Adidas shoes are a must-have in your closet. For a couple of seasons, we cannot part with the classic Stan Smith model from Adidas. This season, we observe Nike’s Cortez big comeback, and Instagram’s hype for short black Converses. Sneakers basically fit everything – so can you make a fashion faux pas wearing Adidas? You can! Hence my little guide – how to wear and how better not to wear our favorite shoes! Adidas with a suit – yes or no? YES! Sneakers can be worn together with elegant trousers and jacket if only the dress code at work is not too strict. So you can easily wear a pair of Adidas with a more elegant styliing. Such outfit is very hot right now and adored by trendsetters. The best white sneakers here are Stan Smith. Visible short socks – yes or no? NO! If you choose to put on a dress or trousers that are no longer than to your ankle, they should not protrude the shoe! This little faux pas can spoil all the styling and looks not elegant. If you decide on short socks they must be short enough that they cannot be visible at all. Regular long socks can be worn to long jeans. 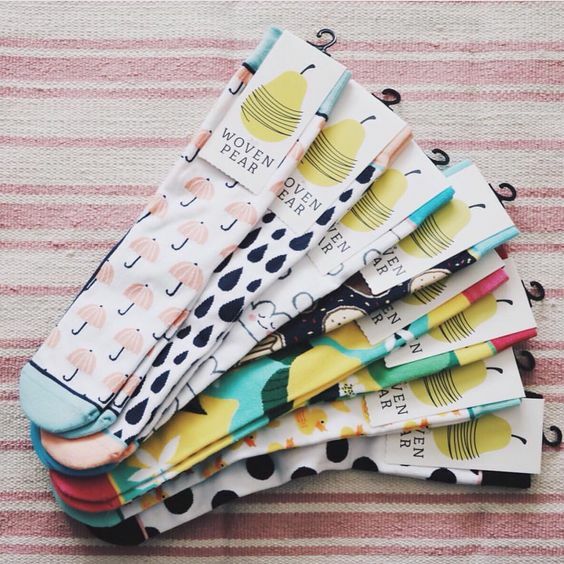 Here you can bet on colourful socks such as Happy Socks as a fashion statement. Sneakers go well with skirts- yes or no? YES! Once it was no-go, now it’s allowed and even fashionable. Great sneakers fit in every summer styling with dresses and skirts and add a bit of slack to your styling. Very trendy this year are Converse sneakers for long maxi dresses in flowers. White sneakers can be dirty – yes or no? NO! 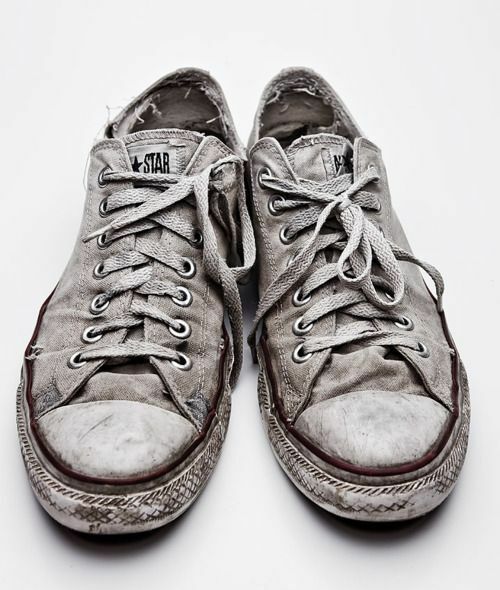 Once the sneakers were just “cool” as they were heavily damaged, even with a hole. It was best to use them for heavy gardening works so they did not look new. It is quite different now with white Stanford or Superstar adidas. White sneakers look best when they are clean – as if they were fresh from a store shelf. Especially if we want to put on a pair of Adidas with an elegant dresses or skirt – these white models are the best fit and they must be clean otherwise they ruin the whole chic. Colourful sneakers – yes or no? YES! 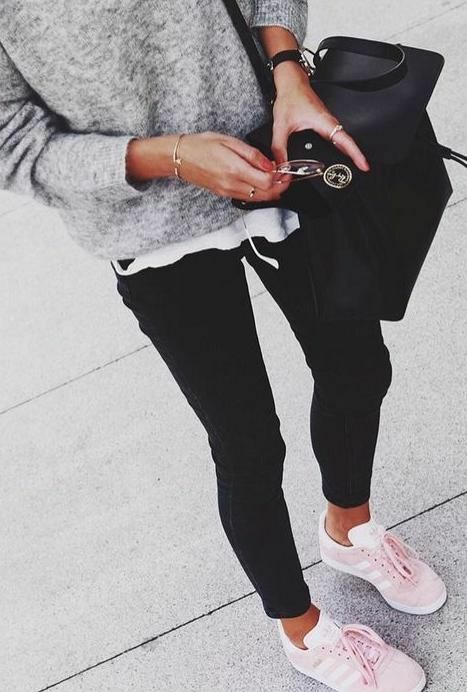 In the fashion world, there is a craze for white sneakers, but that does not mean that we are banishing all the others from our closet. These whites are best suited for elegant styling. Colourful shoes goes perfectly with jeans and casual wardrobe. This year’s object of fashionista desire is sneakers in brightly pastel shades. Top colours are bright roses or mint! 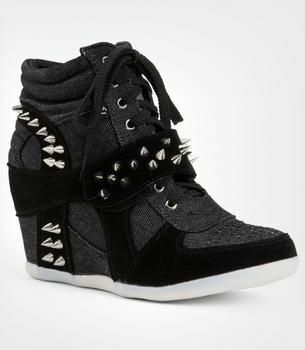 Sneakers on a wedge – yes or no? NO, NO and NO again! Isabel Marant introduced sneaker-wedges in 2011 to fashion and by the end of 2013 this trend has expired. Now no one should walk in such shoes – this train has long gone!